I will be moving during the winter and want to take my strawberry plants with me. Can I dig them up before the first frost and store them for the winter? Answer to: Moving Strawberry Plants? Yes, you can take them with you. I’d recommend digging around the plants and putting them in those really cheap and flimsy plastic pots for the move, leaving as many roots intact as possible. 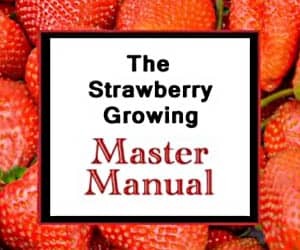 Once you get where you are going, replant them in their new home and pick up their care for the winter months as discussed here: Growing Strawberries. I don’t recommend trying to store them in any dug-up condition over the winter. Most, if not all, will die. If you really do need to store them over the winter, you can do that also, with a little extra TLC. For more information on that, see the post on overwintering strawberries. Hope that helps! What is the best way to move a strawberry bed? My grandmother is moving from one house to another with a 2 1/2 week spread in between. How can we save the strawberries for 2 1/2 weeks without them dying? As long as you keep the soil intact around the plants (at least enough to fill a 6-inch pot), you can dig them up and keep them in the greenhouse over winter, or go ahead and replant them in their new location. You will probably lose a few, but most will likely survive. Good luck! Tricia asked about moving strawberries. I’m in a similar situation however I will not be moving until the middle of winter. I live in the north with very cold winters. Should I dig them up and pot them now and winterize in the garage as described in the winterizing post or how do you recommend moving them come December? Either way can work. If you do it in December, however, be sure to take enough soil WITH the roots/plants. Good luck! I live in central alberta and will be moving the end of August. I would like to take 3 plants each of strawberries, raspberries and rhubarb with me. Rhubarb is almost over and strawberries are just forming, raspberries are budded for berries. As for the strawberries, simply dig them up with as may roots intact as possible, put them in a pot or other transportation device, and move them. Get them back in the ground as soon as possible. Good luck! White Soul Alpine strawberries are known for producing few runners. Some varieties of Virginiana are also purported to be runnerless. After the strawberries are done bearing fruit how soon can I transplant them to a new bed? 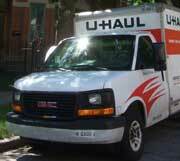 You can move them at any time, but now is not the best time to do so. I would let them establish longer and then re-plant them in the fall.